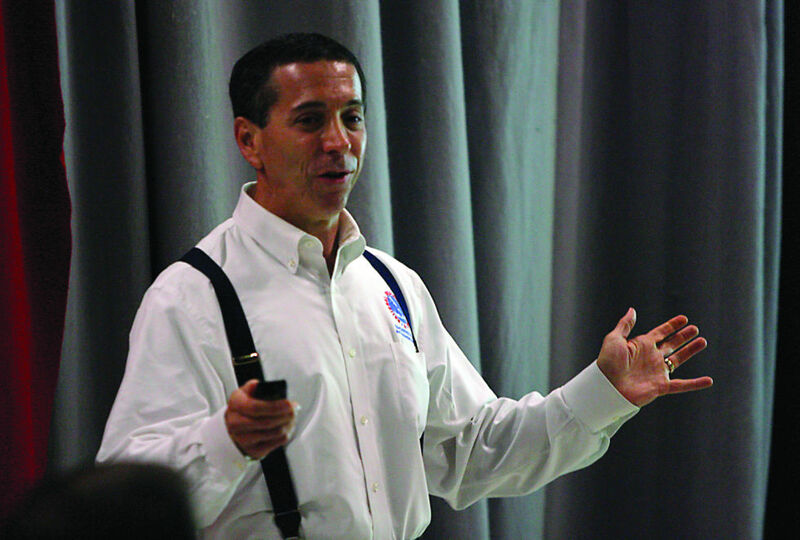 Barry Goldsmith with NOAA/National Weather Service Brownsville speaks to a group Thursday May 29, 2014, in Weslaco. As the Valley remembers the devastation wrought by Hurricane Beulah 50 years ago, a number of events are planned. Some highlights are listed here. The historic hurricane and its impact will be discussed. Dr. Sherry Johnson will speak about environmental catastrophes and social and political change in early modern Cuba. Presentation by Barry Goldsmith of the National Weather Services asks if the Rio Grande Valley ready for another storm.